Sean Marfione blade design, engineered and built by Marfione Custom Knives. The Warhound blade enters the folding knife category built for speed with flipper and dressed out to the 9s with Marfione's signature use of material and finish. 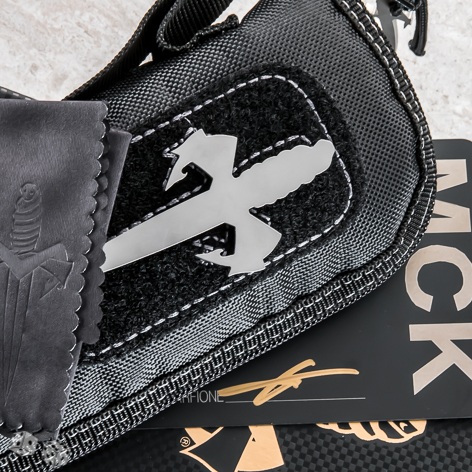 Also includes Marfione Custom Knives zip up case, Marfione Customs box and Dual Signature Steel Birth Certificate w/ dustcloth.